Ms. Andrews is Program Manager for the Department of Wildlife, Fisheries and Aquaculture and the Center for Resolving Human-Wildlife Conflicts. She received a dual B.A. in English and History from Mississippi State University in 2006. 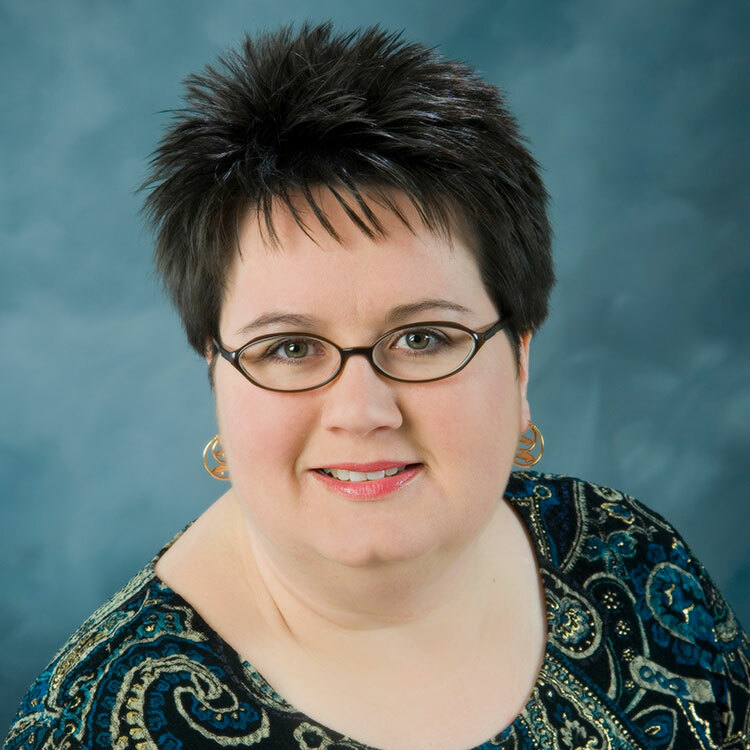 Laura served as Editorial Assistant to the Wildlife Society Bulletin (1998 to 2001) and World Aquaculture Magazine (1998-2000). In 2003, she returned to Wildlife, Fisheries and Aquaculture and, as Assistant to the Co-Director of the Berryman Institute, facilitated establishing the eastern sub-unit and cooperative programs with the western sub-unit. 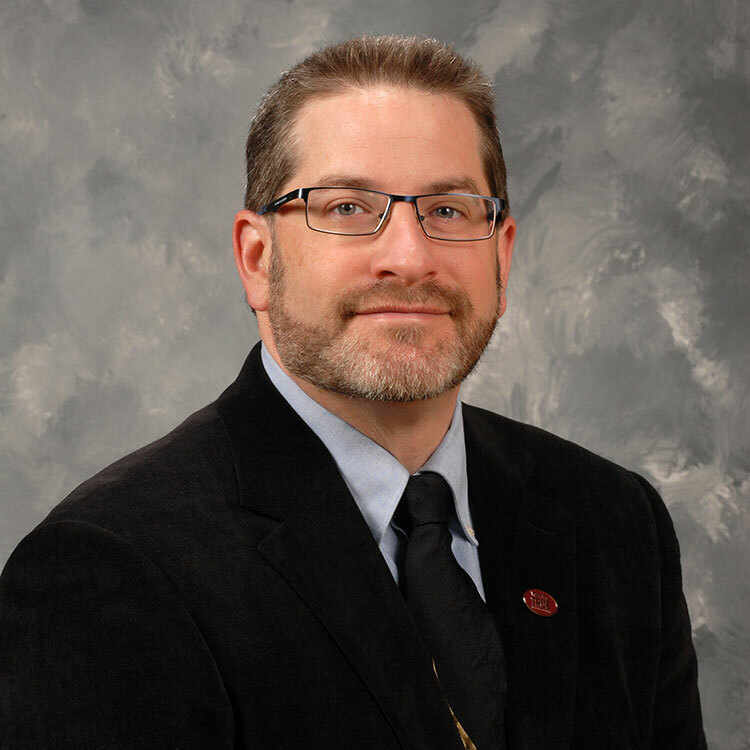 Dr. Kouba was Director of Conservation and Research for fourteen years at the Memphis Zoo prior to joining MSU as Professor and Head of the Department of Wildlife, Fisheries, and Aquaculture. He received his B.S. degree from Northwest Missouri State University, his M.S. degree from Clemson University, and his Ph.D. from the University of Florida, Gainesville. His research interests include coupled natural-human ecosystems, remote sensing, reintroduction and translocation of wildlife, threatened and endangered species conservation, genetic resource banking, reproductive and nutritional ecology, and ecophysiology. Dr. Strickland is an Associate Extension Professor of Wildlife Ecology and Management and Associate Director for Extension and Outreach of the Center for Resolving Human-Wildlife Conflicts. Dr. Strickland received his bachelor's degree in Forest Resources from the University of Georgia, his master's degree from Texas A&M University-Kingsville, and his Ph.D. from Mississippi State University. Dr. Strickland was a wildlife research biologist for USDAs National Wildlife Research Center where he investigated movement patterns and management of fish-eating birds. 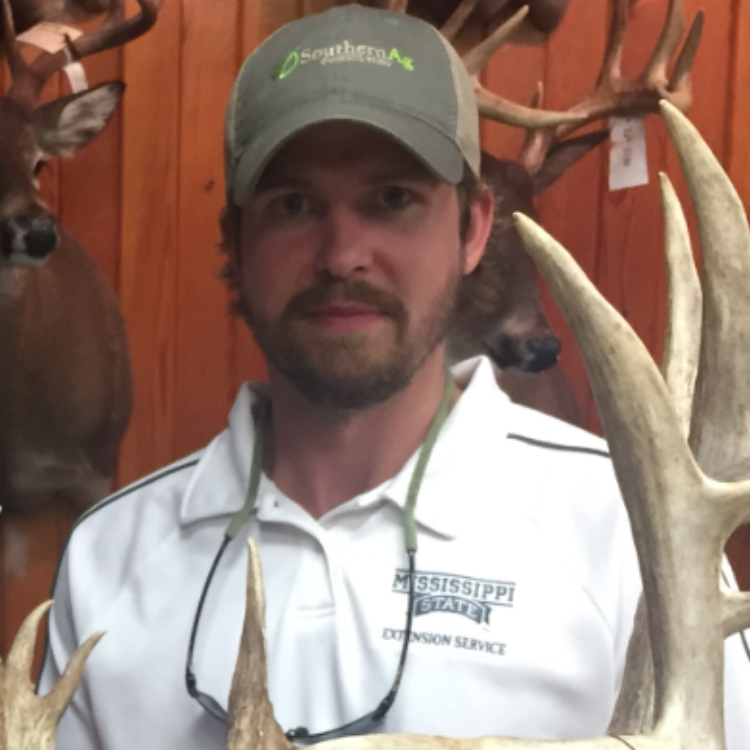 In 2006, Bronson joined the faculty at Mississippi State as the Extension Wildlife Specialist where he works with landowners and natural resource professionals to solve wildlife management problems. Since 2007 Bronson has been working with Extension Agents and landowners to control wild pig populations in Mississippi. 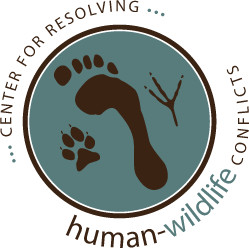 Bill Hamrick is an Extension Associate III within the Department of Wildlife, Fisheries and Aquaculture and currently assists the Center for Resolving Human-Wildlife Conflicts with wildlife outreach programming. Bill obtained his B.S. in Biology and General Science Education from Mississippi State University in 1995 and his M.S. in Biology from Georgia Southern University in 2007. From 2004-2008 he was a Field Biologist/Research Technician for the Southeastern Cooperative Wildlife Disease Study (SCWDS) in Athens, GA. 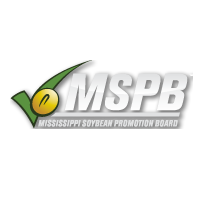 In May 2008, Bill joined the MSU Extension Service where he conducts educational programs to assist landowners and the general public with wildlife management and wildlife damage related issues. In addition, he assists with wildlife research and youth education activities. Bill also leads efforts in education and outreach on wild pig management and control. He is the lead author on the Landowner's Guide for Wild Pig Management, and producer of the popular video, A Pickup Load of Pigs. Bill also administers the www.wildpiginfo.com website. Andrew L. Smith is an Extension Associate I in the Department of Wildlife, Fisheries and Aquaculture and the Center for Resolving Human-Wildlife Conflicts. H received a B.S. in Wildlife and Fisheries Science from Mississippi State University in 2014. 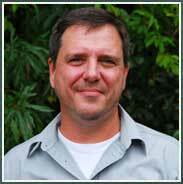 Andrew served as a wildlife technician on a variety of projects for the department, the U.S. Fish and Wildlife Service, and the U.S. Geological Survey. 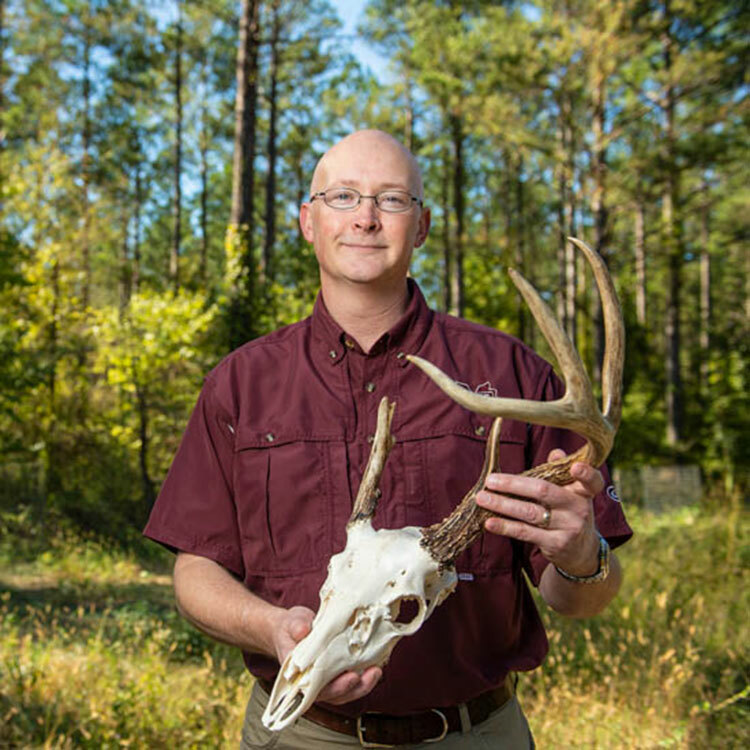 In 2014, he began work for the Center for Resolving Human-Wildlife Conflicts, providing general programmatic support to the Director, writing and publishing extension publications on key invasive species of Mississippi, the southeast, and the U.S., and supporting the implementation of the Boone and Crockett Human-Wildlife Conflicts Resolution Program at MSU.